Mathematician Jean-Pierre Bourguignon will deliver the 2017 Carnegie Mellon University Simon Initiative Distinguished Lecture on Tuesday, April 18 at 4:30 p.m. in the Cohon University Center’s Rangos 3. 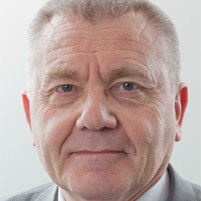 Bourguignon, president of the European Research Council, will discuss "Scientists, Power and the Power of Scientists." For example, the issue of the relation of intellectuals (in ancient times one would call for "philosophers," today rather "scientists") to the rulers has drawn attention in many different historical contexts. Plato discusses it explicitly in "Republic," but there are thoughtful contributions on this matter from many different authors in the course of history. Today, discussing this relation has become of particular relevance, all the more so as other stakeholders have to be taken into consideration. On top of that, now the scientific community has grown considerably and enjoys a very remarkable diversity in its internal organization and practice of science. Still, over the years, scientists have developed some common rules and share a good number of values. Most of these principles stem from the heart of the scientific method and condition the validity of scientific results. In order to discuss this issue adequately, one has to take into account the various interfaces the scientific community has to engage with, be it the corporate world, the political world, civil society or individual citizens. To measure the breadth of the issue, it is appropriate to consider a few examples of situations where this relation led to public manifestations or actual achievements. A new dimension, which now affects how a problem can be approached, is the important (if not dominant) role played by communication media, in the hands of professionals, as well as by society at large through social media. After taking into account this new and wider context, one can try to draw some lessons from these examples looking for a consistent way to deal with such situations, in particular when they lead to conflicts.